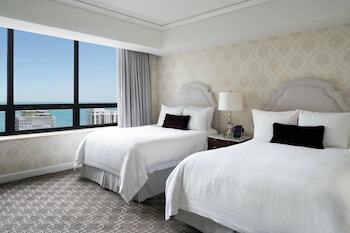 Expedia has some outstanding Esmond travel packages waiting for you. Bundling your accommodations and airfares is one of the most straightforward ways to save money on your upcoming vacation. With us, you've got more than 400 partner airlines and 321,000 worldwide properties to choose from around the world, which means your dream vacation is right at your fingertips! We have all the sightseeing info you need for your next trip to Esmond. Grab your travel organizer and get ready to start padding out your itinerary. Whether you like to think of yourself as a scholarly type or just want to find out a little bit about the region's long history of learning, Northern Illinois University is sure to educate and enlighten. Adventurers have a great range of options close by. Whether you're aiming to beat par or just in the mood to have some fun in the fresh air, you'll have a blast at Buena Vista Golf Course. Still got time on your hands? Rochelle Railroad Park is just the ticket for train aficionados. Walk around its entertaining exhibits and see the rich history of the rail industry come to life. As there are no Esmond properties that are listed with Expedia, some people find it convenient to stay in Creston, which is situated around 8 miles (13 km) away. 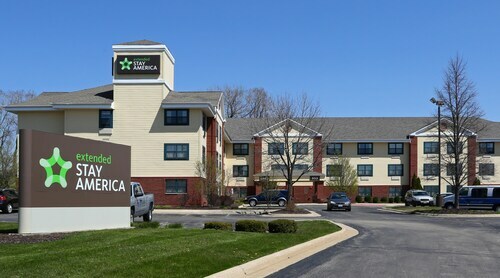 The Holiday Inn Express Rochelle, Country Hearth Inn Rochelle and Super 8 Rochelle are among the best options in Creston. Nothing comes close to touching down at Greater Rockford Airport (RFD) after a lengthy flight. After you've picked up your bags from the carousel and shaken out those stiff legs, you'll find yourself just 14 miles (23 km) from Esmond's downtown area. 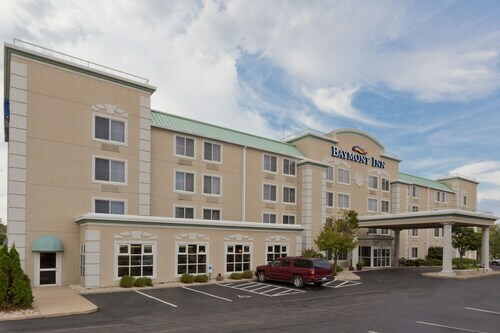 Situated in Rockford, this hotel is within 3 mi (5 km) of Midway Village & Museum Center, Midway Village Museum, and Magic Waters Water Park. CherryVale Mall is 2.1 mi (3.4 km) away. Situated in the business district, this hotel is within 3 mi (5 km) of Midway Village & Museum Center, Midway Village Museum, and Magic Waters Water Park. CherryVale Mall and Baumann Park & Lake are also within 3 mi (5 km). Situated near the airport, this hotel is within 3 mi (5 km) of Midway Village & Museum Center, Midway Village Museum, and Magic Waters Water Park. CherryVale Mall is 2.6 mi (4.1 km) away. 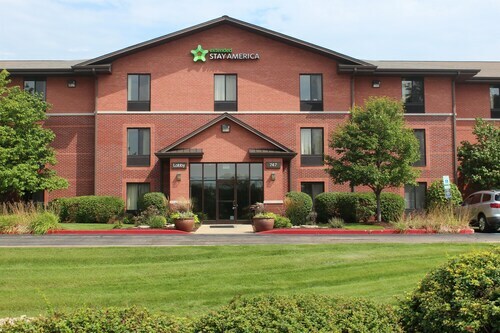 Situated in Rockford, this hotel is within 3 mi (5 km) of Midway Village & Museum Center, Midway Village Museum, and CherryVale Mall. Magic Waters Water Park is 2 mi (3.3 km) away. 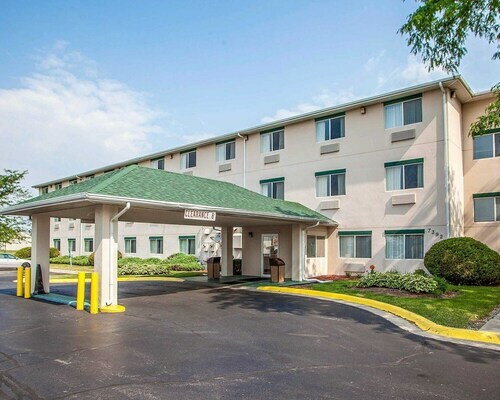 Situated in a shopping district, this hotel is 2.6 mi (4.3 km) from Magic Waters Water Park and 2.8 mi (4.5 km) from CherryVale Mall. Anderson Japanese Gardens and BMO Harris Bank Center are also within 9 mi (15 km). Situated near the airport, this hotel is within 3 mi (5 km) of Midway Village & Museum Center, Midway Village Museum, and Magic Waters Water Park. CherryVale Mall is 2.4 mi (3.9 km) away. Situated in a shopping district, this hotel is within 3 mi (5 km) of Midway Village & Museum Center, Midway Village Museum, and CherryVale Mall. Magic Waters Water Park is 2.2 mi (3.6 km) away. Taoyuan Intl. - O'Hare Intl.